DTRs work in a variety of work settings and are often in flexible roles that navigate between food service and clinical nutrition care. Earning the DTR credential allows you to take the next step to advance your career in dietetics and nutrition. For additional information about dietetic technicians, registered, refer to the Scope of Practice documents and Academy Definition of Terms. 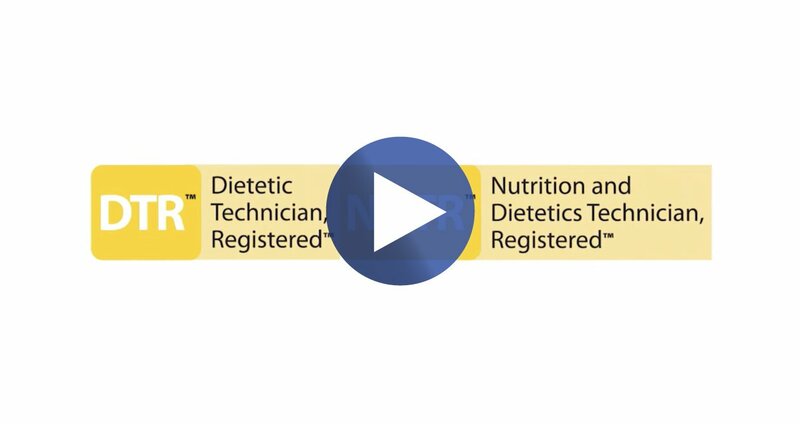 After successfully completing eligibility requirements and being validated by CDR, individuals are eligible to take the registration examination for dietetic technicians. Find resources related to the maintenance and usage of the DTR credential. *Please note the NDTR and DTR are two credential designation options for one certification program. Practitioners may choose to use one or the other. For more information, click here.